Sakai Guides and DocumentationSakai Complete User Guide AssignmentsHow do I grade an assignment? Zoom: Select the assignment to grade. Zoom: Select a student to grade. Click on the student that you would like to grade. 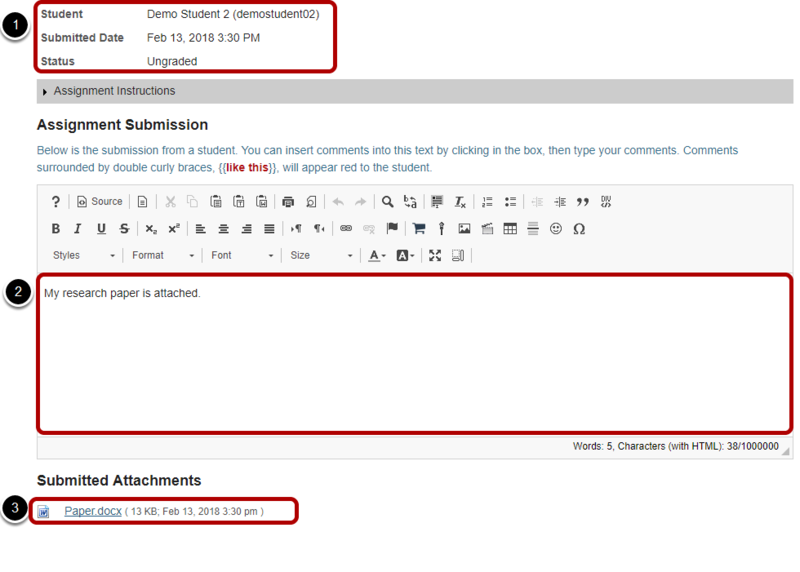 The navigation buttons at the top and bottom of the page allow you to quickly cycle through student submissions. You may use these buttons to jump to the Preview, Previous Ungraded, Next Ungraded, or Next student submission. Or, you can select Return to List to return to the full listing of all student submissions. 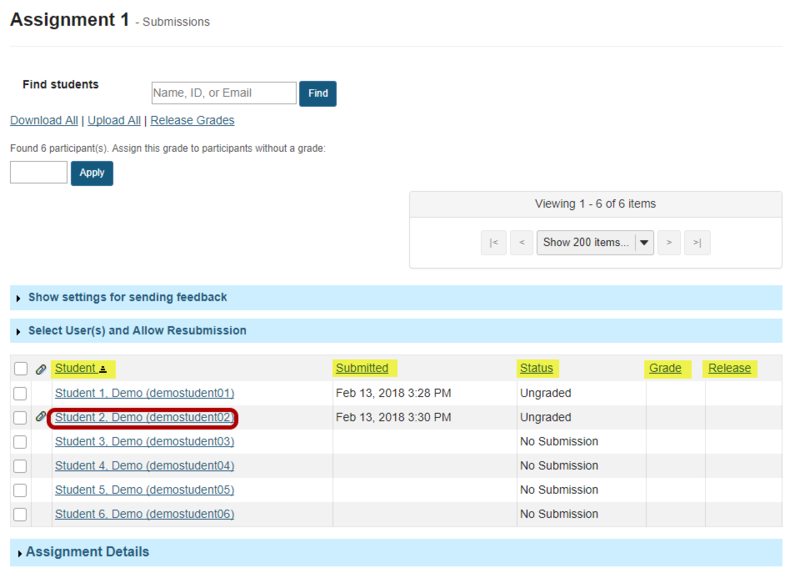 Next, under "Assignment Submission" the student's inline submission text (if applicable) is shown. 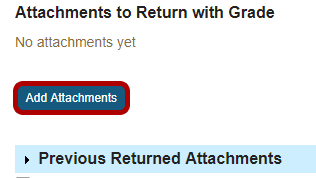 Note: If you have returned more than one attachment to a particular a student, you may also click on Previous Returned Attachments to expand that section and view any other attachments that you have returned for this assignment. Prev: How do I submit an assignment on behalf of a student?